Managing projects in a creative agency is a balancing act. As a producer, you need to plan the work, manage creatives and make sure your project meets the deadline, doesn’t go over budget and—equally, if not most importantly—meets client expectations. 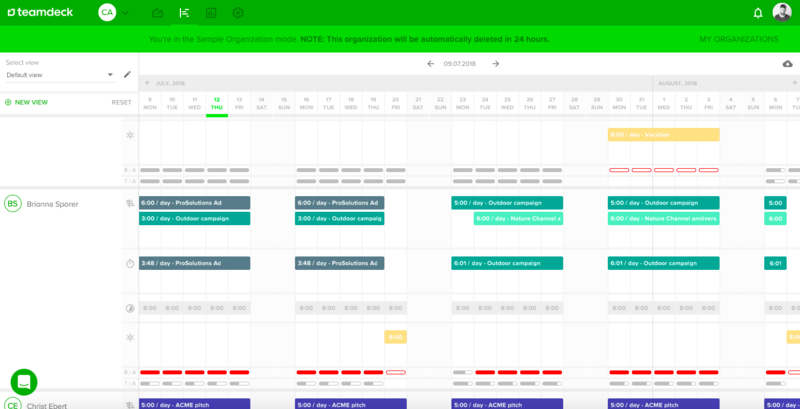 create a schedule that meets the deadline and matches your team’s availability. Fortunately, following the best practices of resource management will allow you to balance the workload and control the budget of your projects. Why is managing resources so important in creative agencies? You probably already use several tools to run your projects and manage your team. Chances are, you work not only with your in-house employees, but with remote teams and freelancers as well. In such a complex workplace, it’s easy to lose sight of your team’s overall performance, across multiple projects. In this article I’m about to convince you that—as a producer working for a creative agency of any size—you can benefit from resource management at different stages of the project, be it a pitching phase (or preparing an proposal), managing the work or reporting. Looking for a resource management tool for your agency? Teamdeck combines resource scheduling, time tracking and timesheets, and leave management. Sign up now and try Teamdeck for free. Creating a pitch it’s natural to focus on your creative idea. Yet, at the same time you negotiate over the timeline and the budget of the project. Here’s how to estimate projects with more confidence, so you’re less likely to go over budget later on. Based on the project’s scope you can tell whom you will need to deliver a project skill-wise. One way to move forward is to create a skills matrix, so you can map competencies required for a project. Now, find employees with such competencies, so you are sure that there are enough resources at your company able to deliver what you promise in your pitch or RFP. Resource management tools with filters allowing to find employees by their skills make it much quicker. Teamdeck makes it easy to sort employees by job titles, so you can quickly spot people you need for your project. Check whether resources you need are available over the timeframe of your project. Schedule resources for your project. Find out if your bookings don’t interfere with production pipeline of your agency. Tentative bookings make it easier for you to schedule resources you will need without actually hogging them. At the same time, you notify other producers that you may need given resources, so they can take that factor into account when planning. It also works the other way round. If you see that the resources you need are already booked by another person, you can negotiate with them and potentially figure out a solution that satisfies you both. 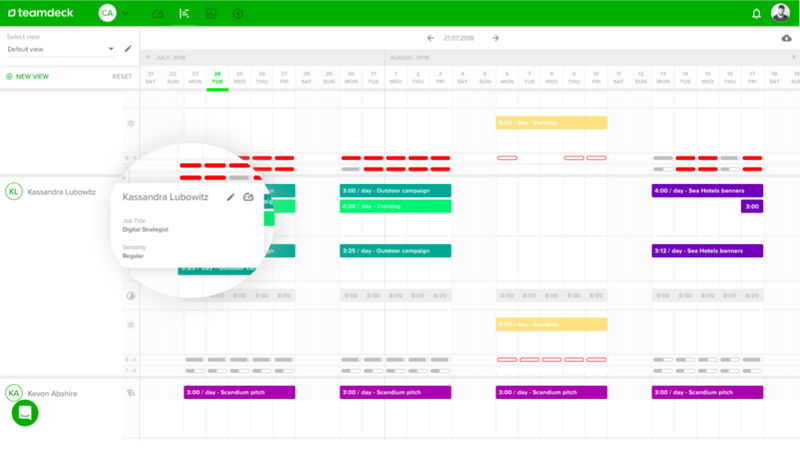 Teamdeck’s calendar gives you a quick overview of your organization’s bookings. Knowing who you need and for how long, you can estimate a budget with better accuracy. This way, you’re less likely to overschedule your team to meet the timeline and run over budget. At the same time, accurate estimation and budgeting will make it easier to forecast agency revenue and decide whether this project is profitable for your agency or not. 2. You won a project for your agency – now what? Let’s discuss how you can make use of resource management once you’ve started a new project, or as you run an ongoing one. Whether you use time and material or fixed price, you have to track the billable time your employees spent on the project, so you know if the project meets the budget. 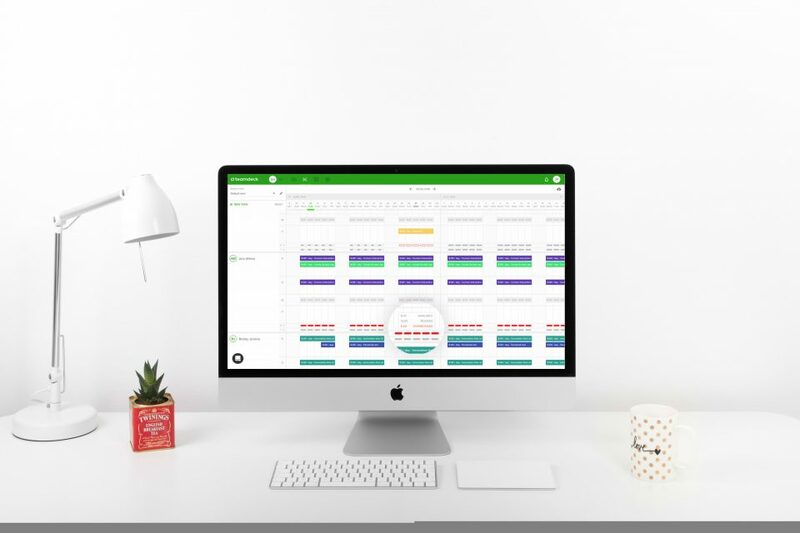 To make timesheets reliable and make the most of time tracking, you need to make sure that your employees will actually fill them in on a regular basis. Only if your timesheets stay accurate, you can confidently draw conclusions from them and use time entries for your reports. Creative agencies don’t always rely solely on full-time employees. 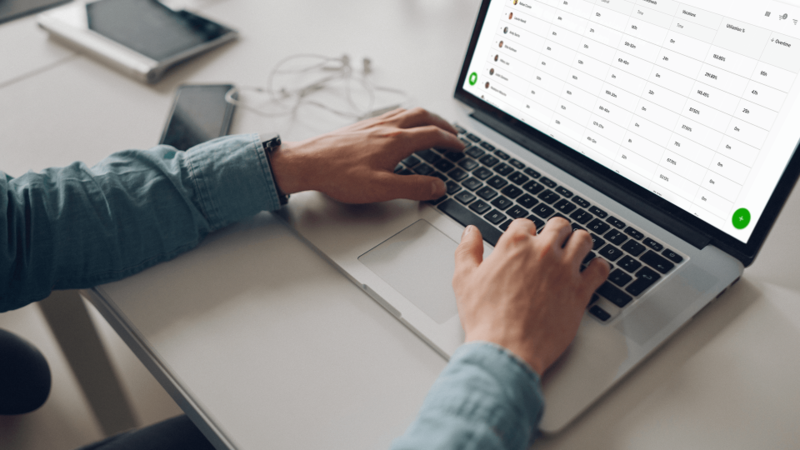 Managing the work of part-time employees or freelancers, especially in a remote team, may be tricky, but you can overcome it with resource management. With a bird’s-eye view of your employees’ schedule, it’s easier to balance their workload. 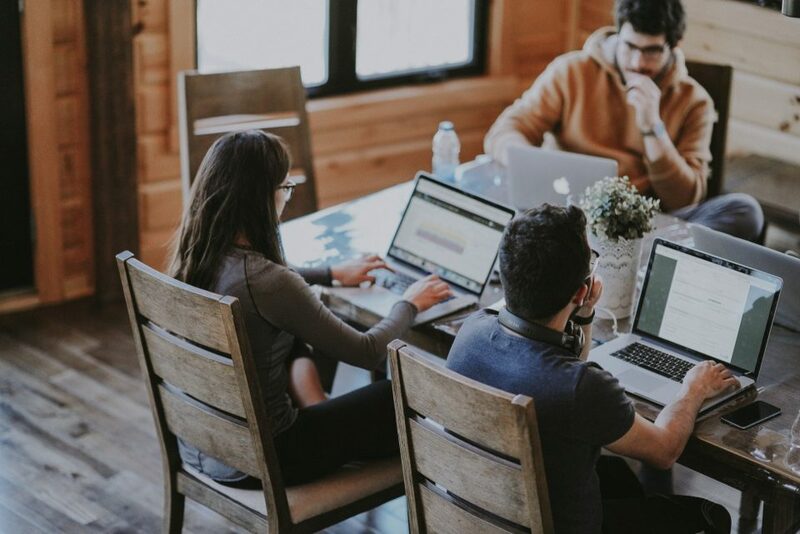 While changing the timeline, shifting priorities, etc., you need to make sure that none of your team members is under or over-utilized, as it may lead to the employee burnout or even turnover. Running a project, you may very often need to include not only the employees but equipment or workspaces, too. If that’s the case for your project, the rules of resource allocation apply accordingly. Since project’s scope, timeline or deliverables may change, you need to constantly keep track of the project, and re-assign your resources accordingly. To do that, you need an easy way to track and measure your team’s performance and resource utilization. Keeping an eye on different metrics will help you stay on top even if changes occur. A way to spot employee’s under or over-utilization early on is to monitor whether their bookings or timesheets exceed one’s availability or not. In Teamdeck it’s super easy – you can see it right away looking at Timesheets/Availability and Bookings/Availability bars. If they are red, it’s a clear signal that a given employee has too much on their plate. You can also create reports to control employee utilization or the budget. In this case, time entries and employee bookings come in handy, as based on these data you can quickly calculate your team’s performance or project’s budget. Teamdeck reports enable producers to keep track of different metrics and KPIs of their choosing, and easily share them with their teams or a client. Last but not least, resource management gives you an opportunity to better plan and estimate future projects. A helicopter view of your pipeline, available resources, their current utilization, and time tracked by your employees comes in handy here. You simply see whether there’s room for a new project in your production pipeline. Analyze historical data to spot patterns that proved to be detrimental for your past projects. Perhaps you tend to underestimate the design phase or there’s often an overload of tasks during the vacation season. Understanding these shortcomings helps you avoid them in future projects. As a producer, you gain full visibility of the projects you’re working on, available resources, and your team’s workload. You can balance the workload effectively for all your team members, including remote ones and freelancers. You may reduce the risk of missing deadlines and going over budget. Visibility of available resources improves the collaboration between you and other producers at your agency. You have a better overview of your production pipeline. It’s easier for you to create your project’s report. If you want to make the most of resource management, you need to make sure that it’s a consistent process, followed regularly at your agency.